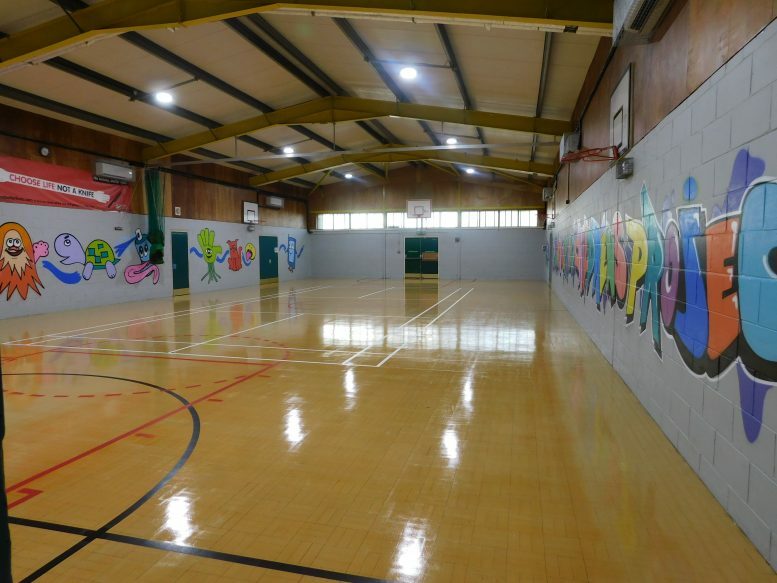 Our large sports hall appears “tardis” like from the outside of the building! There are 2 full size basketball nets and 4 side nets along side a set of football goals. The floor is marked out for badminton and basketball. Badminton nets are available along with a substantial store of sports equipment available to use at not extra cost.